Maxie's Magnificent Guides - Resource Hub for Gifted and Talented Students. Education World - Articles and lesson ideas giving you suggestions and keeping you informed. 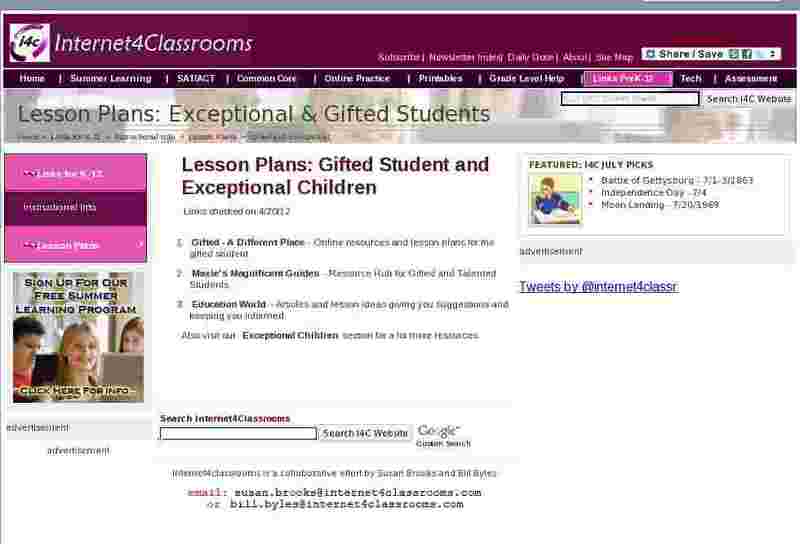 Also visit our Exceptional Children section for a lot more resources.